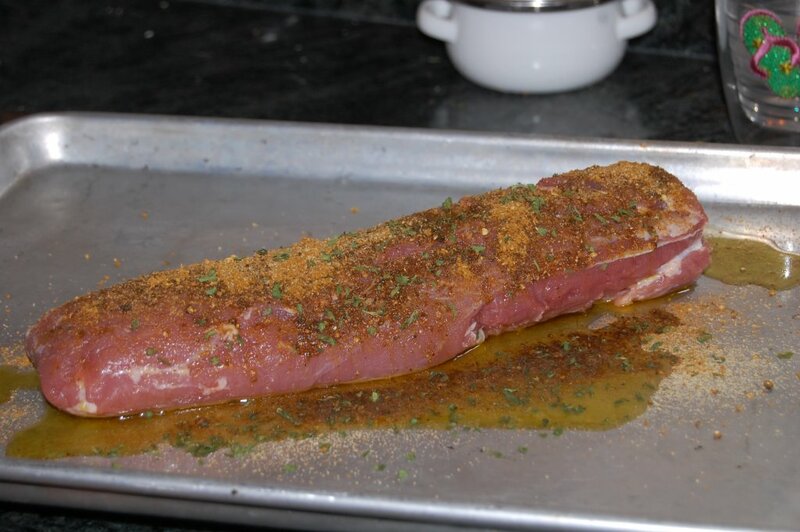 Pork tenderloin, trimmed 2 lb. mixture into the pork; marinate for 2 hours in the refrigerator. grapes and toss to combine. Keep warm until the pork is cooked. minutes. Slice at a diagonal and keep warm. couscous and place 3 slices of pork on the side. Garnish with fresh grape halves and serve warm. Heat a sauté pan and toast all of the spices for 2 minutes, remove from heat, cool briefly, grind spices and store in an airtight container. Combine all ingredients and mix well. Sprinkle with sumac and mix. Can be eaten right away but improves when it sits in the refrigerator for about one hour.